Jan Bernardusstraat 23 I- R Amsterdam Oost - Ramon Mossel Makelaardij o.g. B.V. Bright and airy 35-sq. 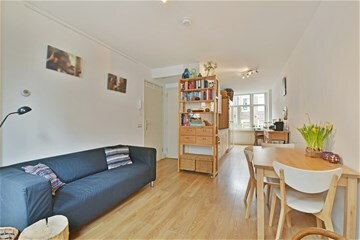 m. one-bedroom apartment with a great layout and a southeast-facing Juliet balcony, situated in a sought-after location in the popular Weesperzijdestrook area. 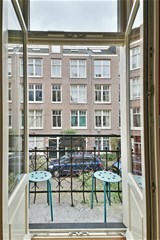 The property is located close to the Amstel river, in a quiet, authentic Amsterdam street off Weesperzijde. The apartment is a freehold property, was fully renovated in 2013 and has since been properly maintained. Layout: Well-maintained shared staircase, entrance to the home on the first floor. The living room is located at the front of the property and features French doors leading to the southeast-facing Juliet balcony. The open kitchen, situated in the middle of the home, comes complete with a four-burner gas hob, refrigerator and combi microwave-oven. The bedroom is located to the rear of the property and offers many options for interior design. The spacious bathroom is fitted with a shower, toilet, wash basin and the connection for your washing machine. 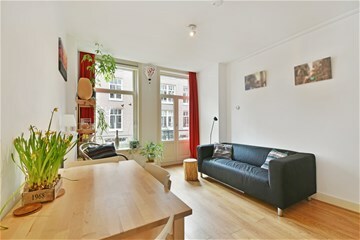 The apartment is part of a beautiful old building built in 1907 on Jan Bernardusstraat in the popular Weesperzijde neighbourhood, between the Amstel river and Wibautstraat. 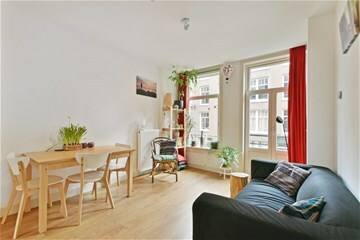 It enjoys a great location on the edge of the city centre and within walking distance of De Pijp, Carré theatre and the Amstel Hotel. Around the corner you will find several wonderful restaurants, such as Ysbreeker, Hesp, Loetje, Volkshotel, Restaurant C and Amstelhaven. Weesperzijde is especially attractive during the summertime as it’s a wonderful place to relax by the water, enjoy a barbecue and even go swimming. For joggers and cyclists, the banks of the Amstel river are a special treat. 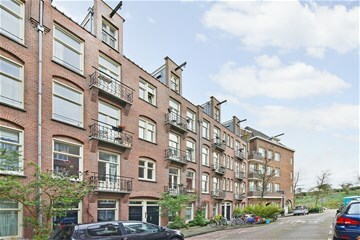 Don’t miss this chance to live in a wonderful location in Amsterdam-Oost, close to the Amstel river, the city centre and Oud-Zuid! 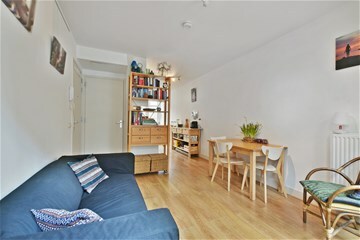 The apartment’s location also offers easy access to the A10 orbital motorway and the A1 and A2 motorways. The Wibautstraat metro station and Amstel railway station are within walking distance. 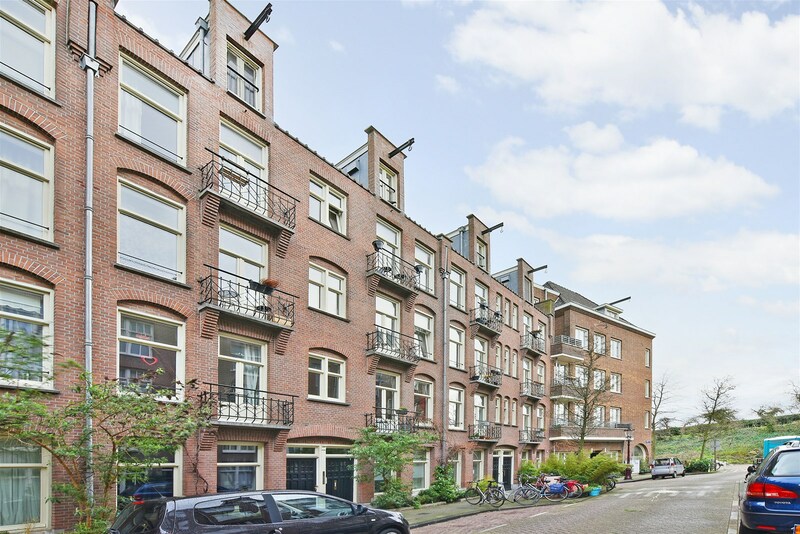 At a glance: - Light and airy apartment in a superb location near the Amstel river; - Excellent finish with smooth plastered walls and beautiful laminate flooring; - The monthly service fees for the home owners’ association amount to €80.83. 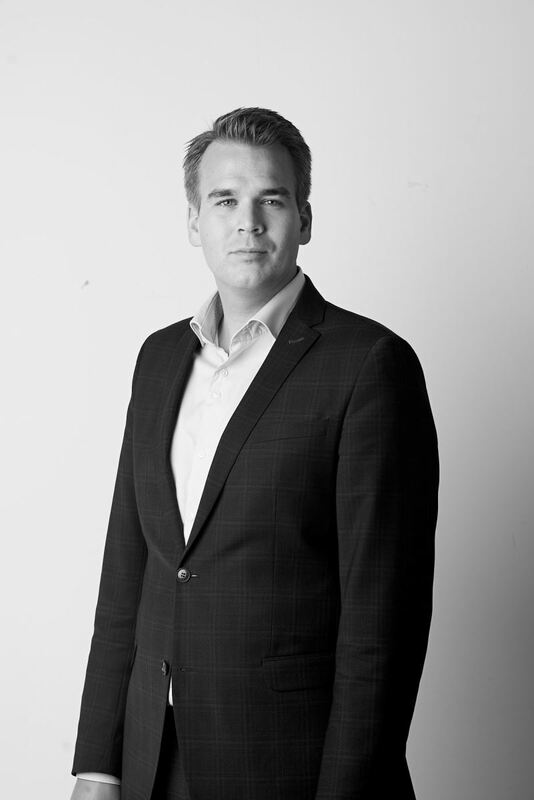 The home owners’ association is managed professionally by VvE Beheer Amsterdam and is active and financially sound; - The apartment is a freehold property; - The property has been measured in accordance with NEN 2580 and is 34.5 sq. m.